A resident of the the Asbury Garden facility died at age 86 on February 18, 2016 according to the Beacon News. According to the article, Elizabeth Theis died from a fatal fall at the North Aurora facility. In situations such as this, nursing home staff at the facility should have been aware of the resident’s high risk for falls. 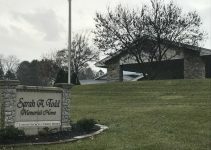 According to the article, the facility failed to provide the high level of care that the resident required. The article reports that her injuries included: nasal and orbital fractures as well as a laceration on her forehead which required several stitches, and an overall decline in her physical and mental state. Many times there are less visible symptoms of injury that can be just as serious. These can include functional decline, reduced quality of life, helplessness, and isolation. It is important to watch for these signs and ask your loved one if anything out of the ordinary has occurred. The nursing home or care facility’s job is to make these assessments, train their staff, and execute the necessary high level of care when a resident requires a high level of care. Examples of this would be: installing grab bars, reviewing prescriptions, and training nursing home staff. 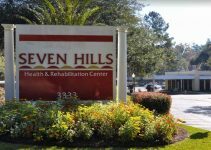 This facility has not corrected its failure to protect its residents and yet another victim and their families has suffered. 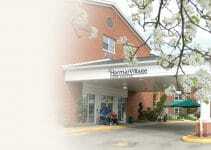 You should be aware of a nursing home’s history. When deciding upon a care facility for a loved one, it is important to look to see if they have a history of citations. A resident fall can be a sign of other health problems the resident may have. People in nursing homes are generally frailer than older adults living in the community. They may have more chronic conditions, more difficulty walking, and need a higher level of care. They may also have thought or memory problems, need assistance with activities of daily living (things like getting dressed, grooming, and hygiene), or need help getting around. All of these factors are linked to an increased risk for falls. It is a nursing home’s job to identify, assess, and respond to these risks to minimize the chance of a fall. 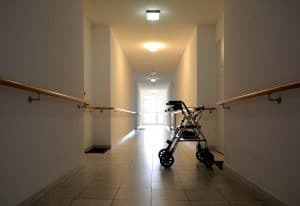 When a nursing home does not do its job, and as a result, the resident is injured in a fall, the nursing home should be held accountable for the harm that results. Does this scenario feel familiar to you? Have you or a loved one experienced something similar? Do you suspect that a care facility failed to protect them from a preventable fall? Please leave a comment below describing your experience, we want to hear from you. We want to hear your questions as well. If you have any questions about a loved one’s fall at a nursing home that resulted in serious injury, please leave a comment and we will get back to you. Michael Hill is an anomaly. When most people think of a lawyer they are just a piece of a necessary situation to get an outcome they desire. 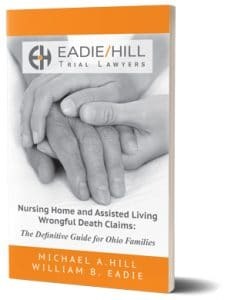 Some lawyers are personable and easy to work with, but Michael Hill made the process of one of the biggest hardships I’ve experienced the best it could have been. Not only is he extremely knowledgeable in this field of practice he displays an immense amount of patience in making sure you are understanding each piece of the puzzle every step of the way. 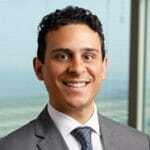 He is successful in the court room, strong in depositions, and always gives 150%. He is the best you’ll find. Having a stranger immerse themselves in your life in times of hardship is uncomfortable, but Michael made me and my family feel like we’ve known him for years. He will be a forever friend of mine and I know that every day he’s having an incredible impact on those around him and his clients. Attorney Hill was compassionate and really took the time to get to know my family and who our beloved one was. He is excellent at what he does and is highly recommended. Michael, I cannot thank you enough for what you were able to do for my family. I never doubted staying with you as a client when you left the larger law firm. We can start a new chapter of our life, and we have your law firm to thank.